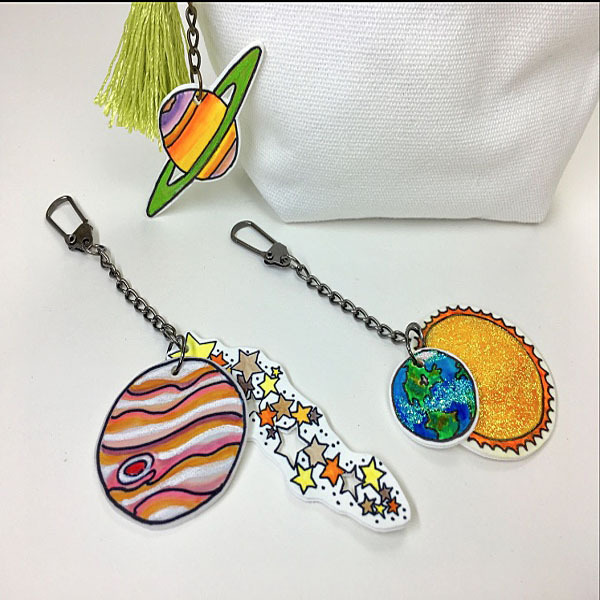 Project Description: Create some out of this world embellishment to use as keychains for your purse, bags or backpacks. Use Grafix Celestial Artist Series Shrink Film designed by Gina Lee Kim. You can start by coloring in the designs on the Artist Series Shrink Film or like I did cut out the designs and then color which helps me to avoid any smearing while I color. Remember to create an attachment hole using a standard hole-puncher before you bake. 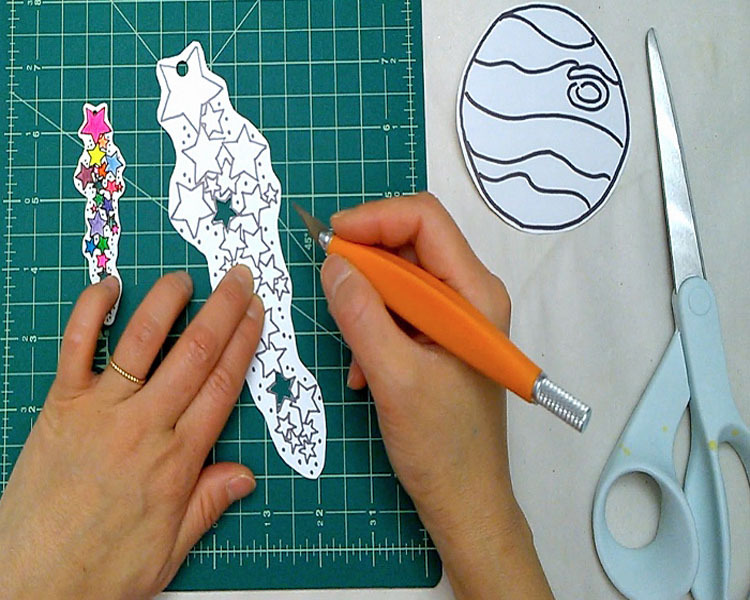 OPTIONAL: Using an Exacto knife, consider cutting out a few stars out of the star cluster design. 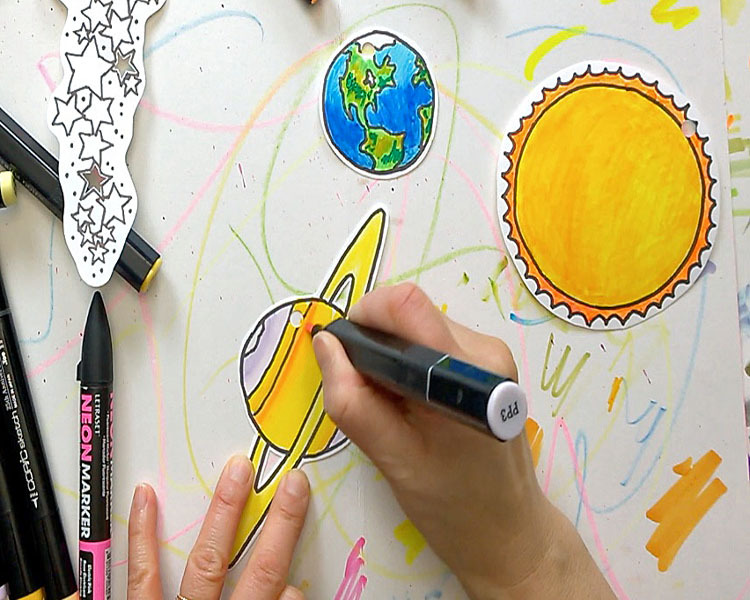 Color with permanent markers (i.e. Sharpie pens or alcohol ink pens). TIP: Many highlighters and neon water-soluble markers will work surprisingly well so test out the supplies you have. Shrink the film according to package instructions. You can use a conventional oven, toaster oven or heat gun. TIP: If the film curls, you can gently flatten the pieces with a spatula then let cool. 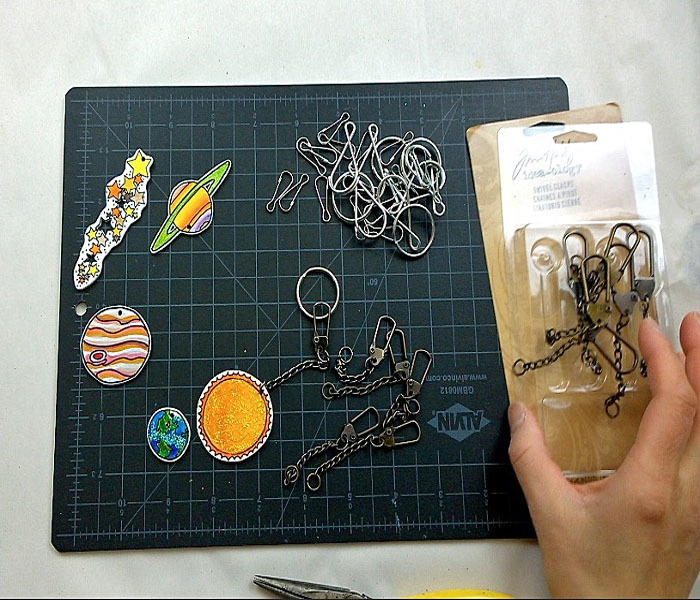 Gather your keychain or jewelry making supplies (here, I used Tim Holtz’ Idea-ology Swivel Clasp Chains). 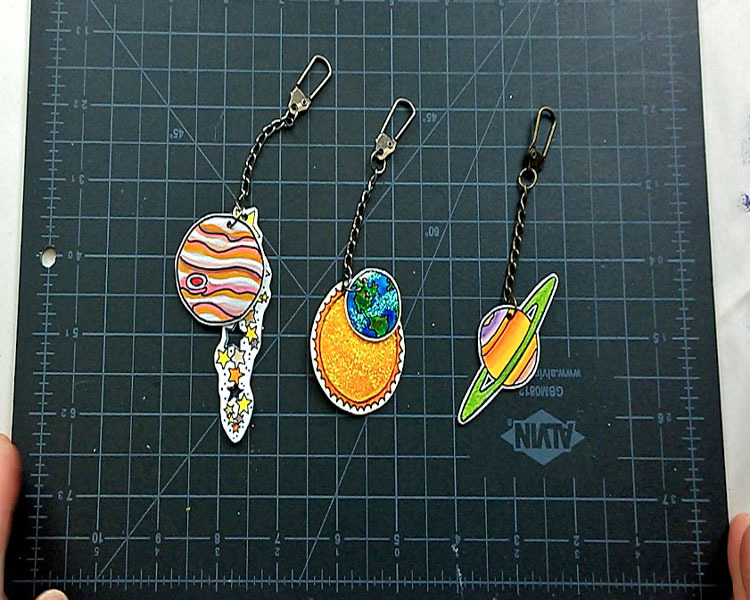 Attach to your colorful celestial designs and adorn on your zippers!